It's your lucky day!!! 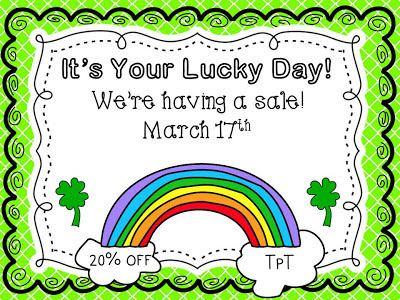 In honor or St. Patrick's Day everything in my TpT Store is 20% off on March 17th! (I started the sale a little early, so head over there now!) Head over to Mrs. Wheeler's First Grade to see who else is throwing a SALE!